Bern, 30.04.2008 - armasuisse has been taking over the first four PC-21 training aircraft from Pilatus Aircraft Ltd in Stans. In the last few days armasuisse, the Procurement and Technology Competence Center of the DDPS, carried out acceptance tests with the first PC-21 aircraft for the Swiss Air Force at Pilatus Aircraft Ltd in Stans. 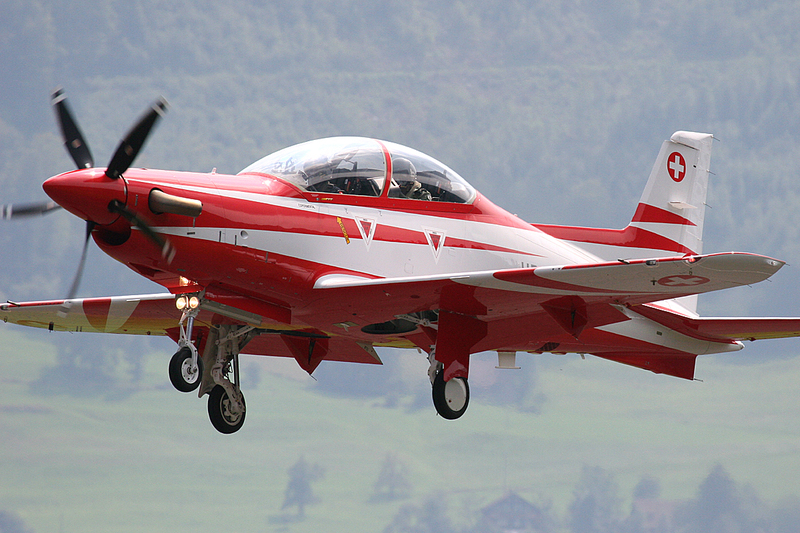 With Armament Program 2006, the Swiss Parliament approved the purchase of the modern PC-21 training aircraft manufactured by the Swiss company. The system is to be used primarily for the training of jet pilots. Since the Hawk jet aircraft were decommissioned, this gap had to be filled by using the F-5E/F Tiger. At the moment the air force will take over four aircraft and in the end have six aircraft in its inventory. Takeover by the air force and the start of flight operations are currently being effected. This allows for valuable experience in employing and operating this new type of aircraft and makes it possible to prepare the first pilot school with the new PC-21 beginning in July. The acceptance of all ordered aircraft in their contractually agreed configuration will take place in June/July 2008.